It is with humble acceptance of God’s will that we announce the sudden demise of Teresiah Wairimu Kuria of Gatero, near Thiru Primary, Laikipia. Daughter of the late Karanja Waweru Meme and the late Wambui Meme. Wife of the late James Kuria Karanja. 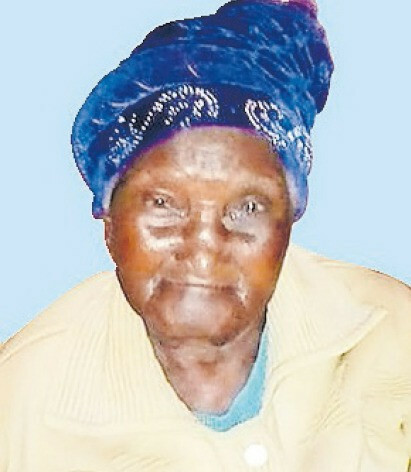 Mother of Mary Waithira (Eldoret), Margaret Wambui (Njoro), Joseph Ndung’u (Malmanet), Karanja Kuria (Nabongo Chemist and Flashdial Connection, Nakuru) and Francis Mungai (Mlolongo, Nairobi). Sister of Njoki, Nduta, Njeri, Nyokabi, the late Waweru, the late Mwara, the late Gitei and the late Njagah. Grandmother and great grandmother to many. Friends and family are meeting for prayers and funeral arrangements daily at Kokeb Restaurant, Nakuru and at Karanja’s residence Milimani, Nakuru from 6.00pm. The cortege leaves War Memorial Hospital Mortuary, Nakuru on Wednesday 4th July 2018, at 8am. Thereafter a memorial service will be held at Gatero, near Thiru Primary School, Laikipia. Rest in peace, Teresia Wairimu Kuria.